Do you remember these two semi-detached houses that once stood opposite the Green Lodge car park in Kings Gap? These attractive Victorian houses were purchased and then, a long time later, demolished to make way for the retirement apartments that are there today. As planning permission wasn’t granted for what was probably a few years, the houses were boarded-up and stood vacant. The properties were demolished in March, 2007. The right-hand semi (number 18, The Kings Gap) in my photo above was, according to a land registry research, sold in 1995 for £80,000 (those were the days hey!). Oddly, I can’t find any data for number 20, so perhaps the records don’t go back far enough? I remember both those houses so well and I’m sure you’ll hear from regular correcpondent Charles Morris who lived at no 18. Max and Nan Morris were close freinds with my parents- Mike and Peggy Vine. And I remember the whole family well- Charles and his sisters Barbara and Alison. Max was a solicitor and saved my husband and I a condiderable amount of money by castin his professional eye over an employment contract before we went to Africa for 10years. No. 20 was occupied in 50s and 60s by Steve and Doreeen Sly. They were also friends of my parents. They had one daughter – Jill- who went to live in Edinburgh. In the mid sixties Mr&Mrs Sly converted part of the upper part of their house into a flat. Friends of mine Audrey (nee Foukes) and Peter Cook began their married life there. I was sad to see these characterful Hoylake houses go and the pair next door too. As a teenager I used to offer ‘gardening services’ to earn some cash and because I loved gardening. The Slys at No. 20 were one of my ‘clients’! As Sue Vine rightly predicted, here is my reply ! Yes, no. 18 was our family home until my mother died in 1992. It then took us a considerable time to sell it, and when we were finally offered £80,000 we were glad. It can only have been five years later that each of the two houses went for £250,000; oh well…. No. 18 was bought by my grandfather, O.G. Morris (a barrister who later became a judge on the North Wales circuit) prior to 1919 which was when Steve Sly’s parents bought no. 20. During the war, no. 18 was let to Hill Dickinson, solicitors, (for whom my father worked) as temporary accommodation after they were bombed out of Liverpool. My parents bought the house from my grandfather and moved in in 1947. My father and Steve Sly were friends when they were boys and Steve was later my godfather. No. 20 was converted into flats long before the 1960s. The Slys lived in the upper flat and for as long as I can remember the ground floor flat was occupied by a Mrs. Waters, who had a live-in housekeeper Miss Ada Bell. When Mrs. Waters died in about 1964, the flat was let to the Cooks for a short while. Then Mr. & Mrs Fred Bennett (just then retired as tenants of the Green Lodge) moved in until the early 1970s (Fred died in about 1971, I think). The Slys then moved downstairs and the upper flat was let to one or two people until Doreen Sly sold the house to some friends of ours. 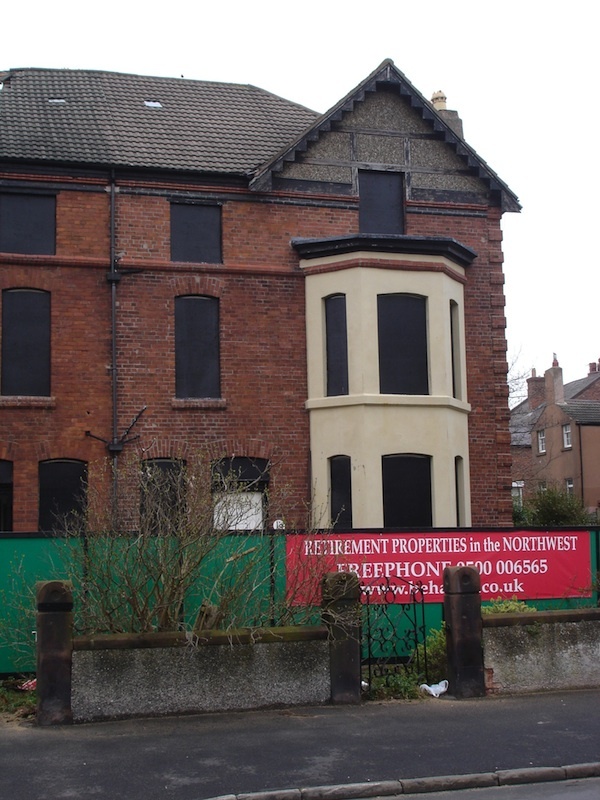 It broke my heart that the two buildings I loved best in Hoylake – no. 18 and the Winter Gardens – were demolished. The reason why you cannot find any records probably will be that the house was sold before Land Registration became compulsory. Therefore no records would exist at the Land Registry. No. 20 was sold to Steve and Jane Kearley in the mid 1980s, so I’m surprised no record existed of that. Hi to all who contributed information on the two properties in Kings Gap Hoylake .It made very interesting reading .Thank you.